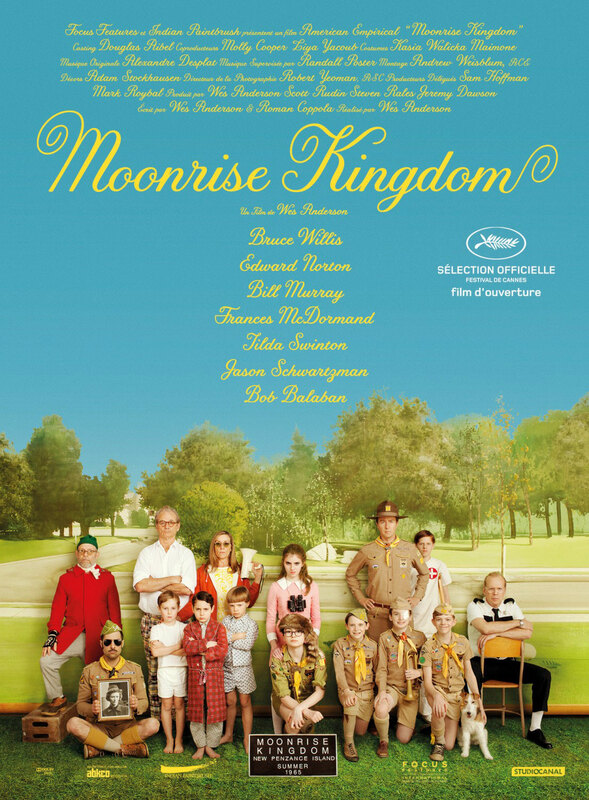 Official Synopsis: Set on an island off the coast of New England in the summer of 1965, MOONRISE KINGDOM tells the story of two twelve-year-olds who fall in love, make a secret pact, and run away together into the wilderness. As various authorities try to hunt them down, a violent storm is brewing off-shore — and the peaceful island community is turned upside down in more ways than anyone can handle. Bruce Willis plays the local sheriff. Edward Norton is a Khaki Scout troop leader. Bill Murray and Frances McDormand portray the young girl’s parents. The cast also includes Tilda Swinton, Jason Schwartzman, and Jared Gilman and Kara Hayward as the boy and girl.